The legal system must uphold fairness in society: both in business and for individuals. We want to ensure justice for victims of crime and better rehabilitation for criminals, with a reduction in the rate of reoffending. The justice system must punish the guilty, protect our liberties and rehabilitate offenders. Rehabilitation works, then. 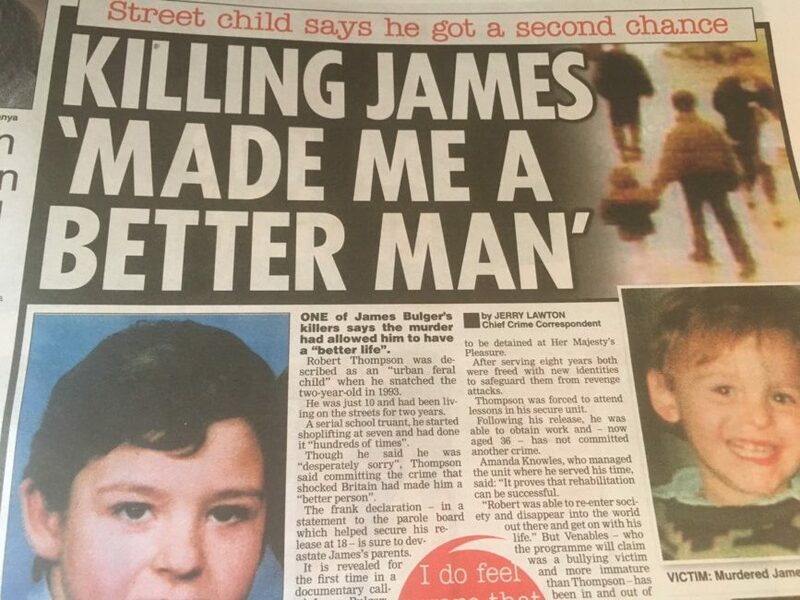 Or as the Star puts it: “KILLING JAMES ‘MADE ME A BETTER MAN’.” And in the Sun: “MURDERING BULGER GAVE ME BETTER LIFE – KILLER’S ASTONISHING BOAST.” Wrong. Badly wrong. 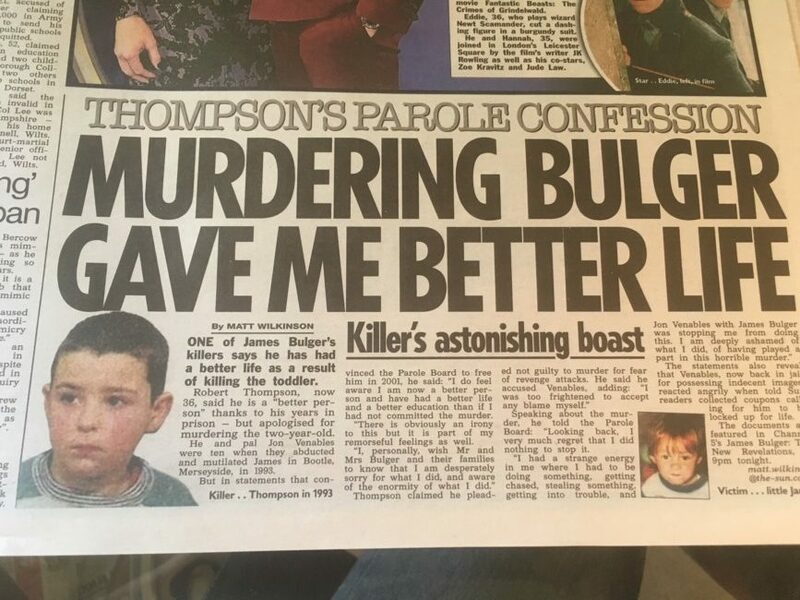 And cruel on James Bulger and his parents. Tony Blair milked the crime. His role was pivotal in turning a horrendous and blessedly rare crime into a warning to us all. He turned a dead child into a symbol of what we had all become. 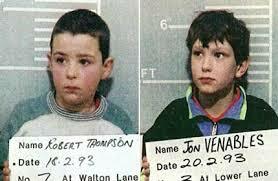 The judge at the boys’ trial called the crime an act of “unparalleled evil”. The crime became a moral cudgel. His father threatened to mutilate him. The killers were treated well? Fairly? Justice was served. Conniving political ambition drove the mob. Media fanned the flames. The Bulgers should be allied to move on. They should not have their pain used to sell a story. That’s cruel. Horribly cruel.